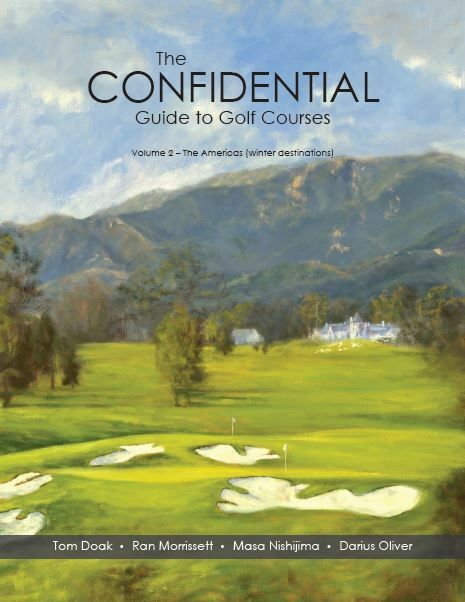 Tom Doak is back with the second installment of his planned five-volume compilation of “The Confidential Guide to Golf Courses,” this one concentrating on warm weather destinations in the Americas. The third volume, due later this year, will head north. We previously gave a lengthy review to Vol. 1, and there’s ample background on the project there. The basic setup is the same—if with 80 more pages and an extra $5 charge—and it’s all just as irresistible. (Go to the Renaissance Golf Design website for ordering information.) Doak and his co-authors, Ran Morrissett, Masa Nishijima and Darius Oliver again use the 0-10 Doak Scale rating system along with capsule reviews and expand on 18 favorite Gourmet’s Choices (among them Cypress Point, which receives the only perfect 10-10-10-10 score). Despite the controversy that has sometime swirled around the Guide due to its take-no-prisoners reviews, Doak’s aim has never been to simply be cranky. It was less to expose courses to avoid than to reveal those that players would want to seek out. Once one finds the right course to play on there’s always the question of how one plays on it. In other words, how’s your swing? 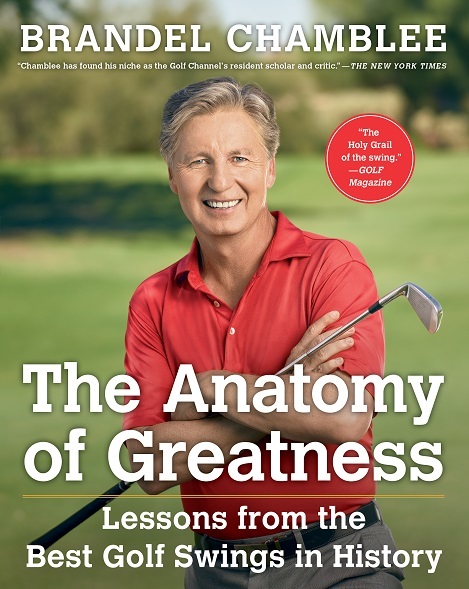 Former PGA Tour player and current Golf Channel analyst Brandel Chamblee puts a microscope on the fundamental act of golf in a fascinating volume, “The Anatomy of Greatness: Lessons from the Best Golf Swings in History” (Simon & Schuster, $30). And while this can certainly be called an instructional book, it’s blessedly free of drills that ask you to hold a beachball between your knees or stuff a towel between your elbow and body while swinging. The one exception may be a photo of Mickey Wright’s right foot, under which she sometimes stuck a golf ball to give her the sensation of pressure on the inside of her foot on the backswing. And such is the attention to detail on the various elements of the swing, in chapters on the grip, setup, posture, triggering the swing, the initial move away from the ball, completing the swing, the transition and lastly the impact and finish. This isn’t bragging; there are plenty of nuances to be found, though the prose is concise and the 120-page book is crammed with photos of, indeed, some of the best at the craft, from Jones, Hogan, Nelson, Snead, Palmer, Woods to quite a few of Nicklaus. And who can argue with that? The book then tries to concentrate on the brilliant and the insightful, in what editor Claudia Mazzucco calls a wholly original time for golf in pondering its mechanics, the period between the two world wars. Mazzucco maintains that with few of the technical marvels of today then available the ferment of instruction took place in lively locker room discussions, and wound up in the pages of popular golf magazines. So this volume, too, looks to the past for it instruction, but this time largely in the words of those who first put them into print. 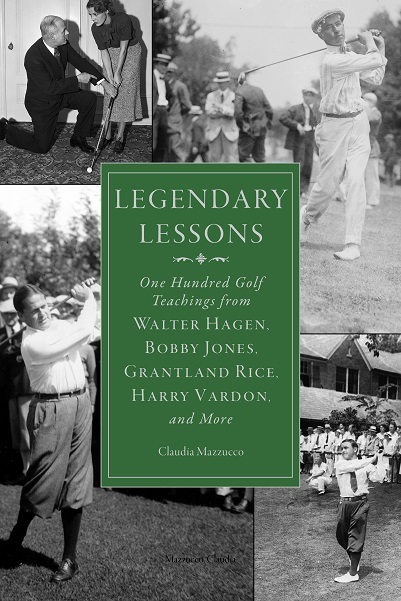 Hence the unwieldy if accurate subtitle, “More Than One Hundred Golf Teachings from Water Hagen, Bobby Jones, Grantland Rice, Harry Vardon, and More.” There are no illustrations in this volume—this is a book solely for reading pleasure, most likely in small, bedstand reading bites. And there is pleasure in hearing these old voices in passages that run nostalgic, still useful, and sometimes humorous–Grantland Rice, for example, going on about things not to do on a green in “How to Use Many Putts.” Or the story about pro Ky Laffoon who once tried to drown his misbehaving putter, and another time drove 400 miles to a tournament dragging the offending wand behind his car. There’s a mild logic at work in the book, starting with pieces about putting and ranging through the full swing and the mental game, but it’s a generous pool and will pay dipping a toe into at any point. 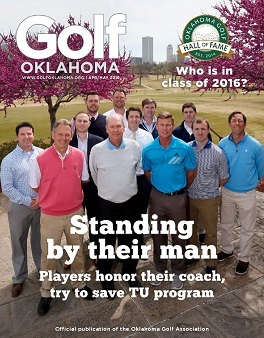 This piece originally appeared in the April-May 2016 issue of Golf Oklahoma magazine, in slightly different form.